In the run up to the federal budget, there are many points of view in the market of ideas for the government to act upon. 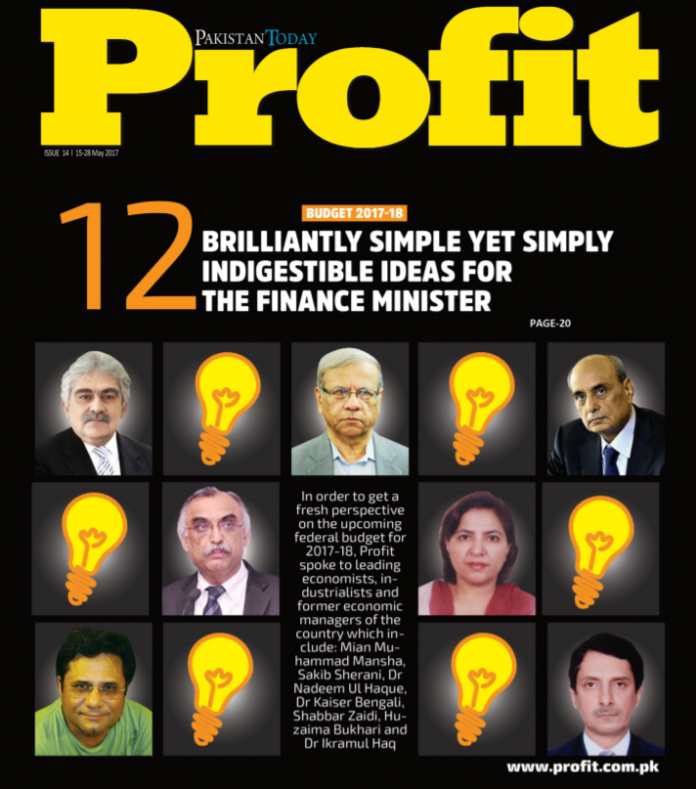 We have outlined some of them in this issue of Profit. These range from those who preach the gospel of the free market like former planning commission boss Nadeem-ul-Haq to leftist highbrows like Qaiser Bengali, who was instrumental in putting together the BISP. This right-to-left spectrum obviously has many distinct shades of opinion on the issue of taxation. It is on this front of taxation that we here at Profit would also like to take a crack at throwing out an idea to the government. Except, unencumbered by the expectation of actually being taken seriously by the finance ministry (a luxury that the two aforementioned gentlemen do not have) we can afford to be rather bold in our loud thinking. Try this for bold: we propose that the government scrap the personal income tax altogether. Yes, you read that right. Completely scrapped. Compared to us, Nadeem-ul-Haq looks like Qaiser Bengali. But why, you ask? Well, there are several arguments for it. For starters, in one fell swoop, the black economy (other than that derived from non-tax crime) would become legal. With no reason to hide their money, the individuals in question will their cash out of non-productive stores of value like gold and deposit it in the banks. This would undoubtedly be a fillip to investment in the country. We need to be selective about increasing the indirect taxation. Perhaps slap higher rates on luxury items; Pigovian taxation, if you will. Whatever the resulting mix is going to be, there is going to be a corresponding inflation. But one accompanied by increased spending and economic stimulus as well. This removal of income tax should be accompanied by an encouragement by the government for the people to utilise proper banking channels and financial technology. With an increased documentation and, indeed, understanding, of the economy, we could perhaps move back to the imposition of income tax in due time. Anything is better than this current system, where, in the name of lofty ideals of progressive income taxation, it is the salaried class and the poor (through withholding taxes of consumer items) that pay and the fat cats remain mostly out of the net.